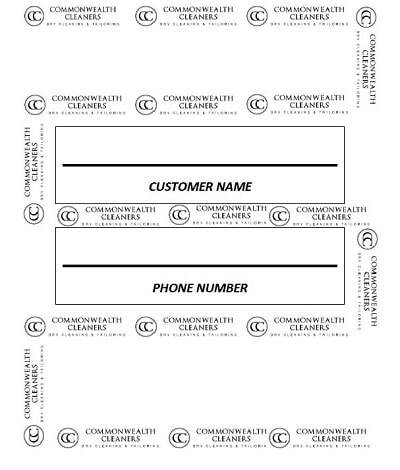 With the VIP Program at Commonwealth Cleaners we take service to the next level. We know your time is precious and the dry cleaner's front counter is not where you want to spend it. Our VIP program is designed to speed you through the process of gathering your clothes at home, dropping them off at our store, and picking them up when ready. 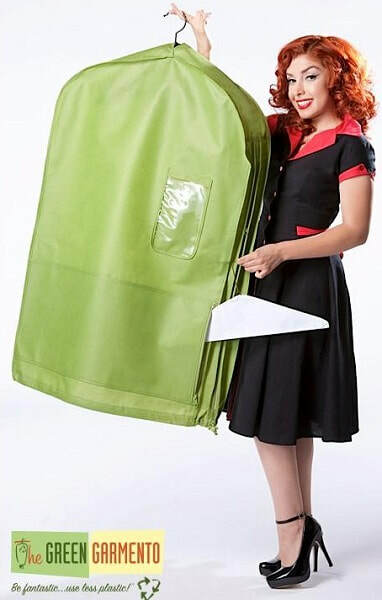 We give you a free "Green Garmento"™, 3 in 1 Laundry - Hamper - Garment Bag (as seen on TV's Shark Tank). We give you a VIP stamp card. Use the Green Garmento bag at home as a hamper and fill it with your dirty dry cleaning. Drop your Green Garmento bag in our front collection bin and go. No need to wait in line or go through your order with the counter person. 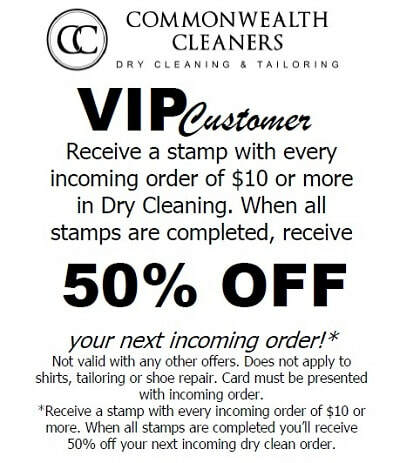 Each order of $10 or more in DRY CLEANING earns a stamp on your VIP card. Fill your stamp card and get 50% off your next incoming dry cleaning order. No more plastic! We put your clean clothes in the VIP Bag. Visit us in person to start your free VIP membership!